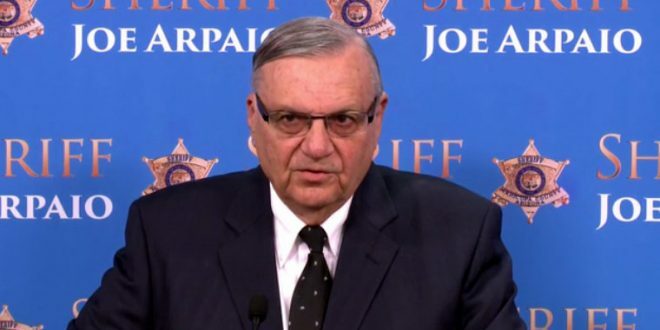 Joe Arpaio Does Interview With Holocaust Denial Site - Joe.My.God. American Free Press published a September 15 piece by roving editor Mark Anderson stating that it “recently” interviewed Arpaio to combat “the false narrative that Arpaio had engaged in ‘racial profiling’ when his deputies apprehended illegal alien suspects.” The piece shared details from their conversation, including regarding Arpaio’s false campaign claiming former President Barack Obama’s birth certificate is fake. 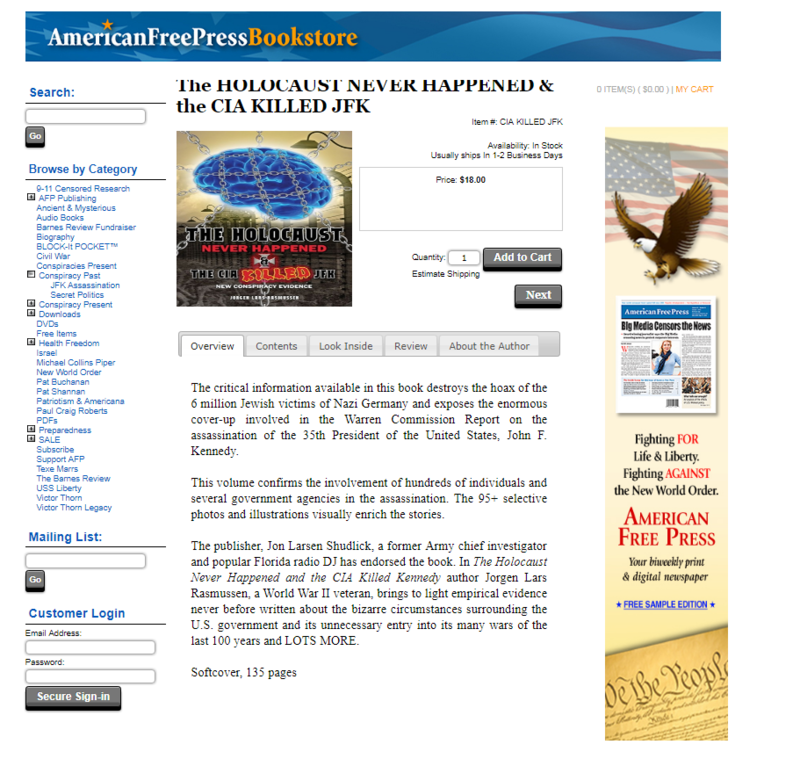 The site is currently selling a book titled The Holocaust Never Happened & The CIA Killed JFK. Below are some of their recent headlines.